“Shall we date? 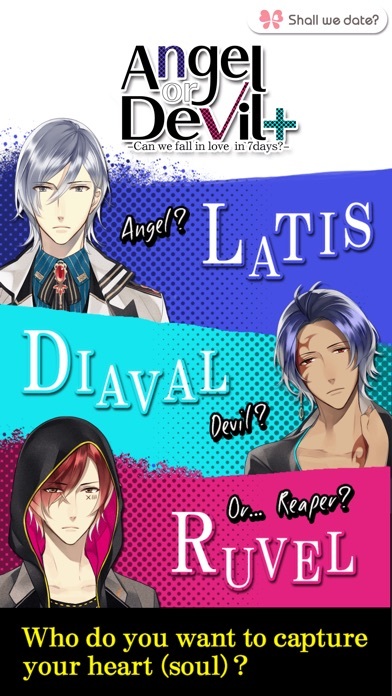 : Angel or Devil+”, hereafter referred to as “the game”, is a novel type dating simulation game, depicting a romance between you (a player) and a hero (an angel, devil or reaper). 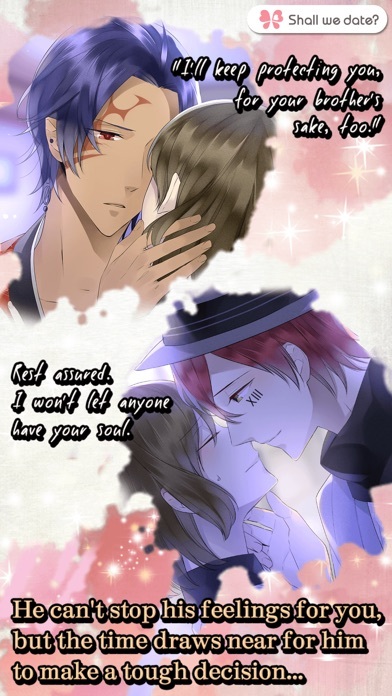 The game is the first one among the series, which has been developed with Shojo (girls) Manga like illustrations that successfully make the game a romantic fantasy. 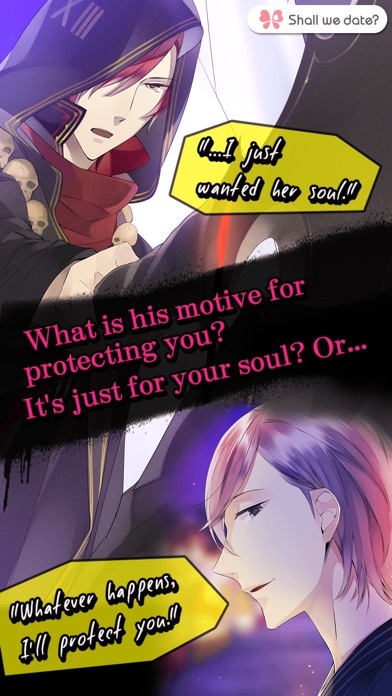 ===Main features=== - Play basic story for FREE: A fantasy romance game set in current Japan; heroes are an angel, devil and reaper - Choose your favorite character: There are three men (characters) available in this game. 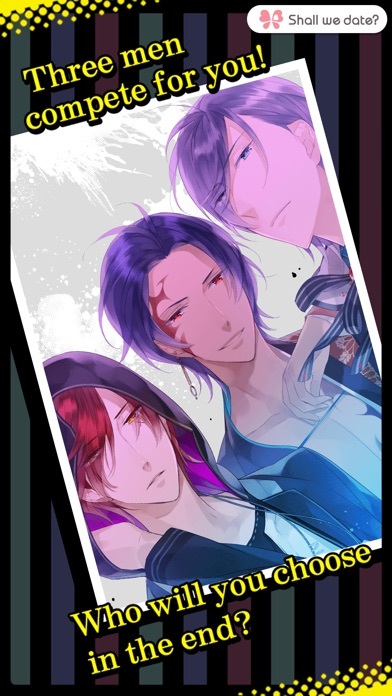 You can choose among the three men to begin your romance. - Multiple-endings: The choices you make will determine how each story ends. - Beautiful still graphics: Check out the beautiful artwork by the Japanese illustrator. - Decorate your own avatar: More than 70 cute items available to choose from including seasonal outfit . The avatar feature is a great opportunity to show off your creativity! 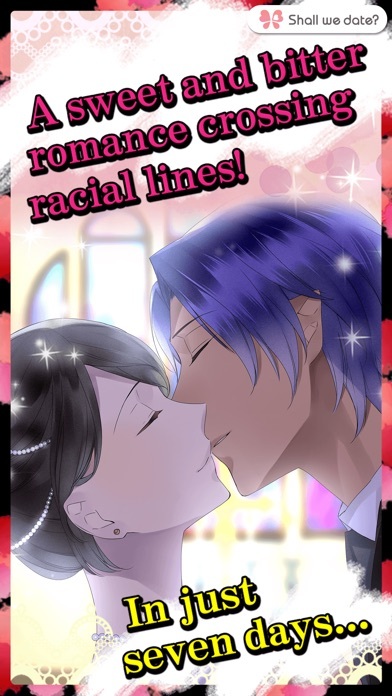 - The basic story plot is the same as the paid version "Shall we date? : Angel or Devil". === Story === The game depicts your (a player’s) 7 days with an angel, devil and reaper. The story started with a scene where you found yourself in bed at the hospital when you opened your eyes－you had been involved in a car accident. All of a sudden, three strange men appeared in front of you－the angel with shining wings; the demon with deep black wings who was smirking; the reaper with a scythe in his hand whose eyes were cold. They asked for your soul because you had only a few days left to live. === How to buy coins === Once the tutorial is cleared, you will see a Menu button at the bottom of the page, Tap Menu > then tap Buy Coin, here you can buy Coins that can be used for all in-app items. HiXUiAAiGn my ID! Playing Diaval last time I played Ruval and loved it getting him to open up and seeing his smile and how protective he could be was awesome! Going to try and finish game this time. I wish there were less trials/gates we have to pass through with the pieces of justice and it’s really annoying I think this is why I deleted it the first time. Otherwise it’s a good game. I know they still update the bugs other fixes, so I wish they would add more stories. Maybe add music and kinda revamp the app. This one has always been my favorite! Although, ithas always seemed to be tucked away and hasn’t had very many events. I bet if they just revamped it it would get a bunch of attention again! If you have the app Episode you know about tickets. In this app, it takes 4HOURS for 1!!!! THE TIME MUST BE SHORTENED!!! I recommend getting this app but if you are VERY impatient like I am, be careful. I want others to get it but... COME ON!!! !